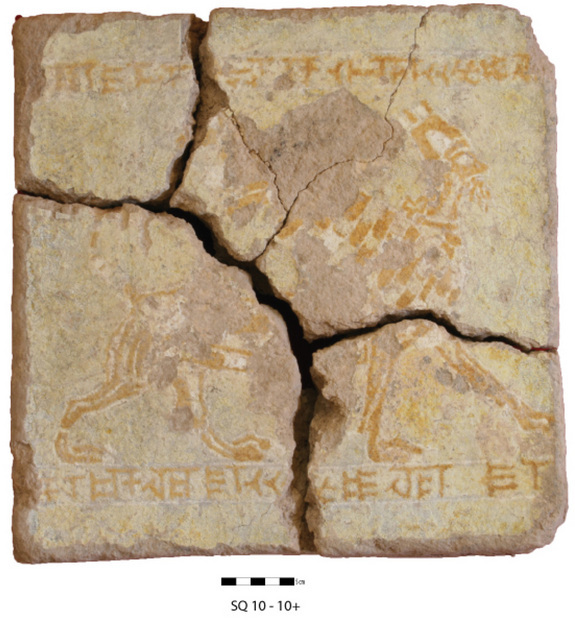 Among the discoveries archaeologists have made are cuneiform inscriptions and works of art that tell of the palaces that flourished in the city throughout its history. This particular work of art shows a horse wearing a headstall being led by a man in a short robe. The inscription, seen above and below the image, reads “Palace of Ba’auri, king of the land of Idu, son of Edima, also king of the land of Idu.” This indicates that it was created around 3,000 years ago when Idu was the center of an independent kingdom. Credit: Courtesy Cinzia Pappi. This work shows a bearded sphinx with a human male head and the body of a winged lion. 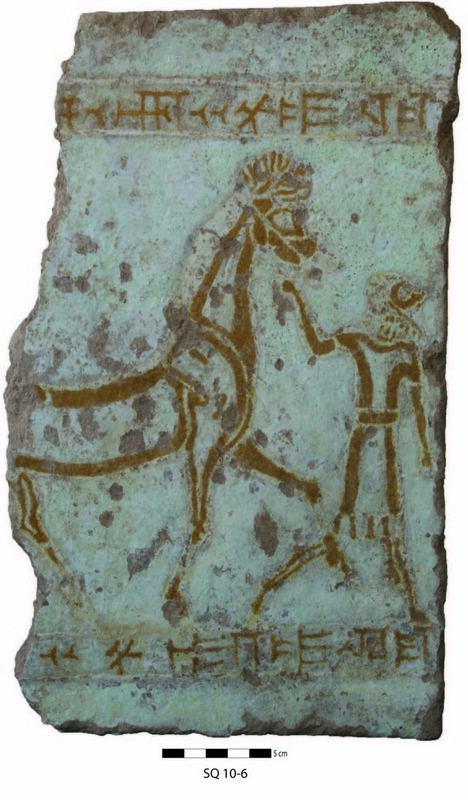 Found in four fragments it was also created for King Ba’auri and has almost the exact same inscription as the depiction of the horse. Credit: Courtesy Cinzia Pappi. 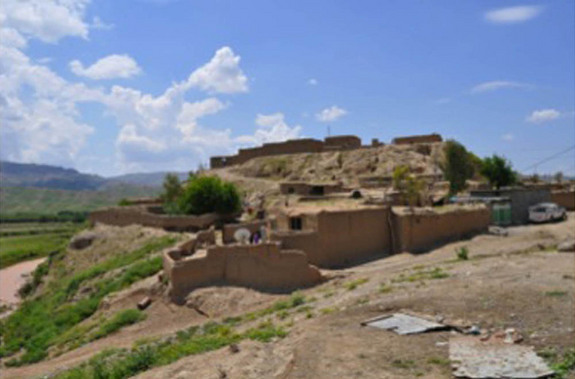 Even during Assyrian rule, when Idu was used to administer the surrounding territory, finely decorated palaces were still built. For instance, the team discovered part of a glazed plaque whose colored decorations include a palmette, pomegranates and zigzag patterns. Only part of the inscription survives, but it reads, "Palace of Assurnasirpal, (king of the land of Assur)." Assurnasirpal refers to Assurnasirpal II (883-859 B.C. 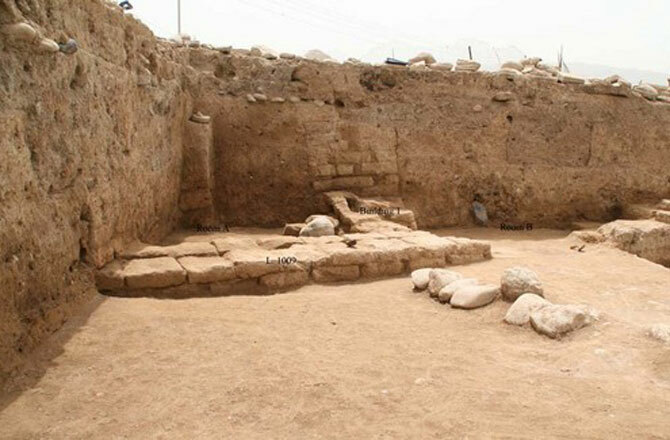 ), the researchers said, adding that he, or one of his governors, must have built or rebuilt a palace at Idu after the Assyrians reconquered the city.